All successful businesses are aware of the practical and financial advantages of planning ahead. This is especially true for succession planning in family businesses. 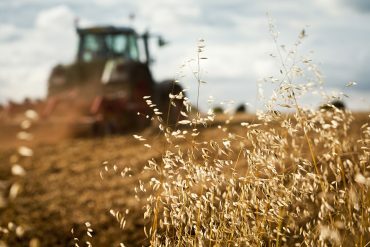 Succession planning has always been more complicated for farmers and this has been highlighted in recent years by the increase in litigation particularly over the ownership of farmland where siblings have engaged in lengthy, and usually expensive, court battles with each other. To avoid conflict, early planning is advisable and any family business should work with their solicitor, accountant and land agent to ensure that appropriate arrangements are in place for succession. Surprisingly, when considering succession planning for a farming family, the most important capital asset, the land, can often be overlooked as complicated tax issues take priority. By individuals outright. If so, in what shares? By partners in the business. If so, is it on the balance sheet? By a company. If so, who owns all the shares? By a family trust. If so, who are the Trustees and who are the potential beneficiaries? If the land is in different ownership, formal rights should be put in place, where appropriate for example, to provide for future access, and use of drainage and irrigation systems. If the land isn’t registered it is advisable to apply for voluntary registration. If title deeds cannot be found, possessory title applications should be made. After twelve years of a property being registered with possessory title it is possible to make an application to the Land Registry to upgrade to absolute title. If you are in this situation start the clock running on this as soon as possible, particularly if the land may have future development potential as a possessory title can have an impact on value. If there are unlawful occupiers, the situation should be regularised or the occupier removed. If there are lawful occupiers of commercial units or any agricultural tenancies, the type of tenancy should be assessed and reviewed to see whether any rent review or other notices should be served, particularly if a tenant is operating in breach of the lease terms. Reviewing all of these matters will enable the family to identify and, where appropriate, deal with issues before any of the land is passed to the next generation, when an increase in the number of parties involved can add to the risk of a dispute arising. Preventing a future dispute will mean not only avoiding professional costs, but, more crucially, reducing uncertainty for family members. A long running dispute over the succession and direction of a family business can not only impact the business, which might struggle to make long-term commercial plans or respond to changes in the market, but will also affect family relationships too.